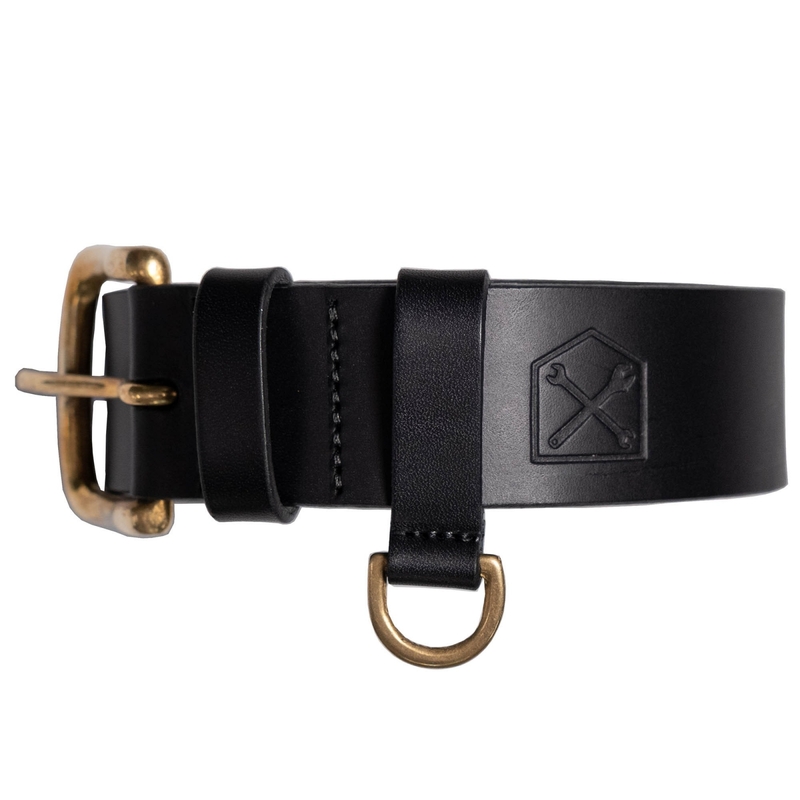 This belt is from thick Italian hide in Black or Tan with a subtle Shed & Spanners emboss that disapears under the tongue on close. 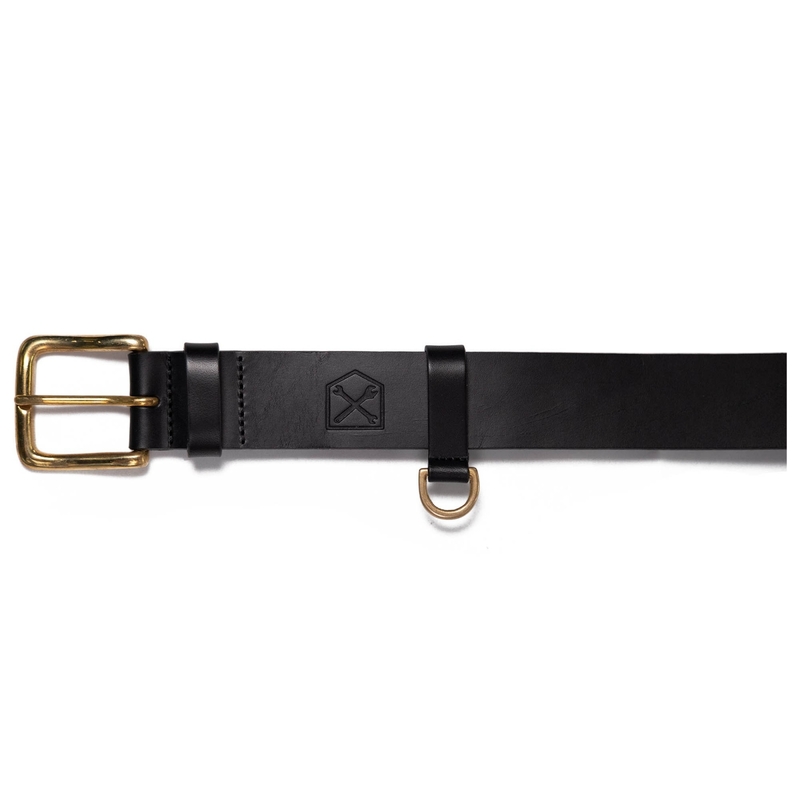 A second roving belt loop with a stitched in brass D-ring provides a mounting point for a wallet lanyard, key clip or whatever utilitarian device you can think of. 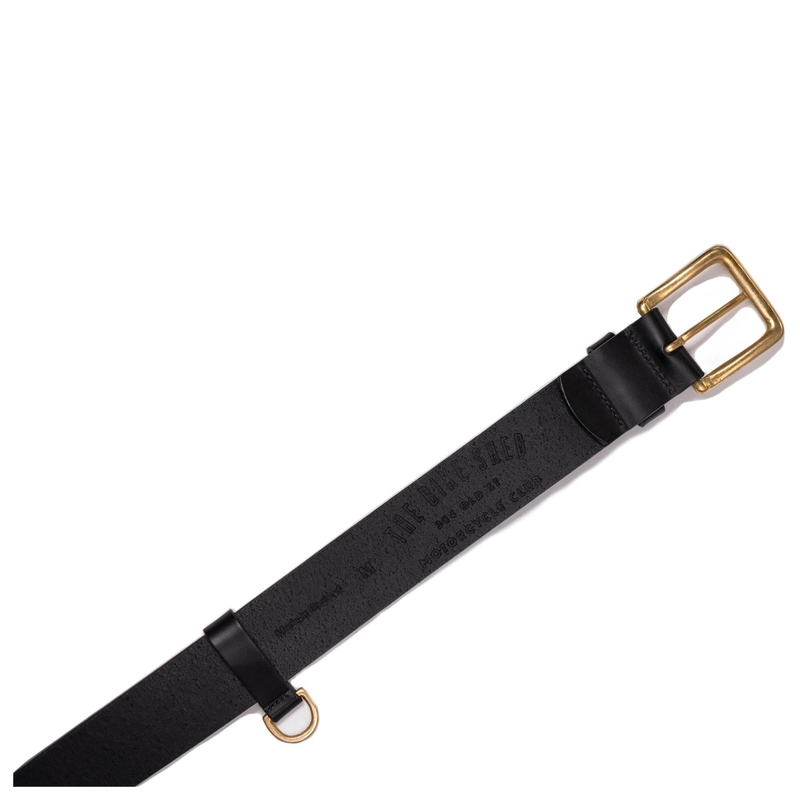 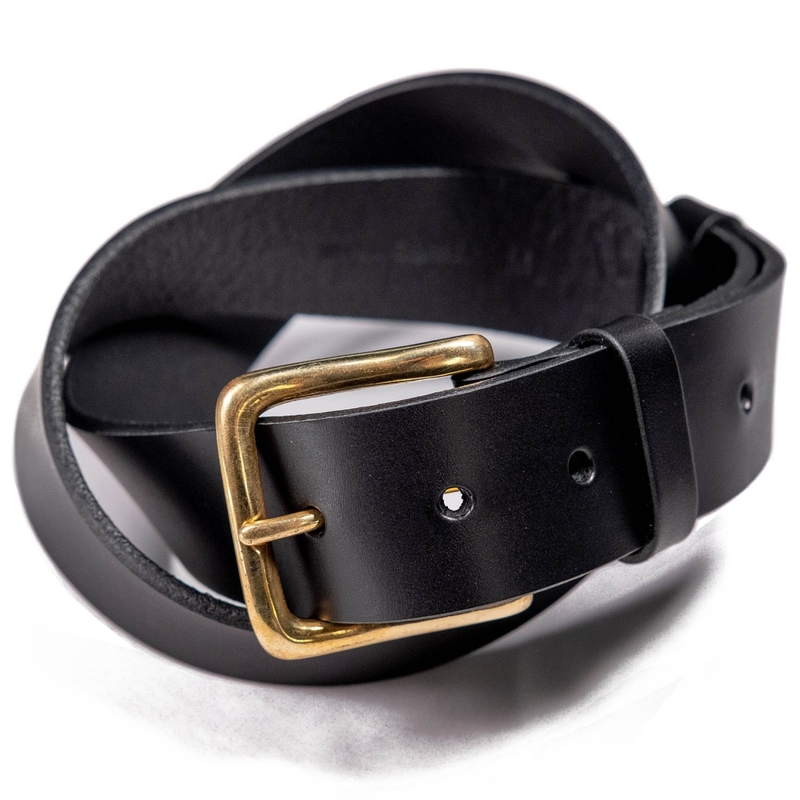 A classic belt.